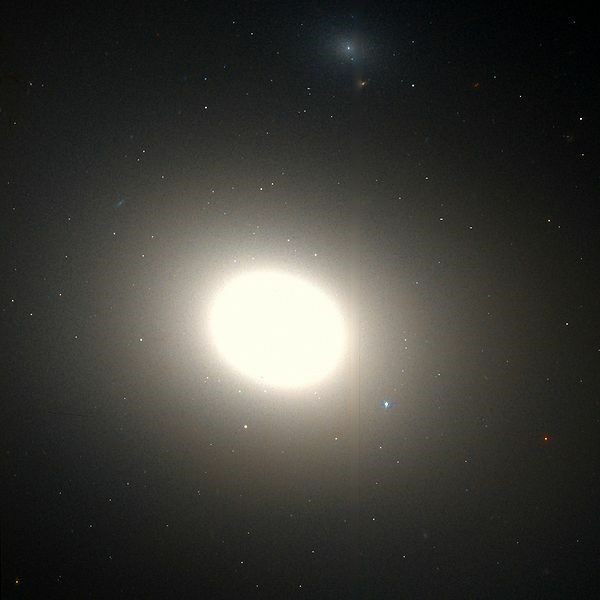 The constellation of Virgo contains many galaxies in a gigantic cluster 60 million light-years away. M86 is one of the most spectacular of these galaxies as are M84 and M87. All three are part of Markarian's Chain, a row of physically linked galaxies which were discovered at the same time by the astronomer Charles Messier in 1781. M86 is a lenticular galaxy like its neighbour M84. M86 is the galaxy that is approaching us at the highest speed, 419 kilometres per second. It is probably the enormous mass of the galaxy cluster (there are over 2000) which is at the origin of a gravitational field capable of accelerating M86 at such high speed in our direction; however, this movement is occurring inside the cluster. X-ray observations have also shown that this galaxy was leaving a gas trail, the result of the interaction between the galaxy and the gas in the cluster.